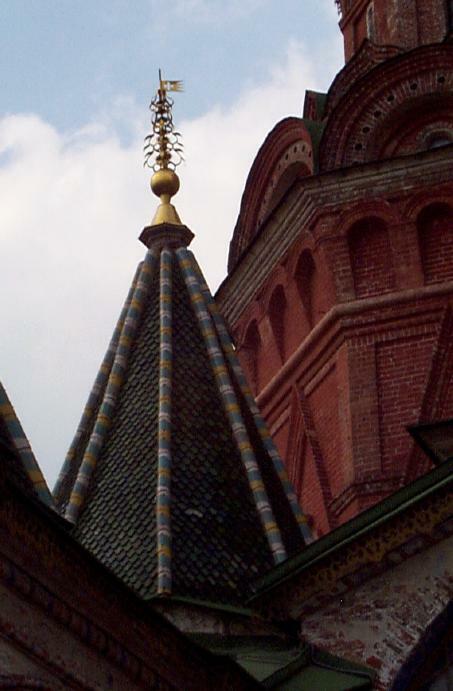 Metal lace-work on top of a cupola; green dragon-scale roofing. 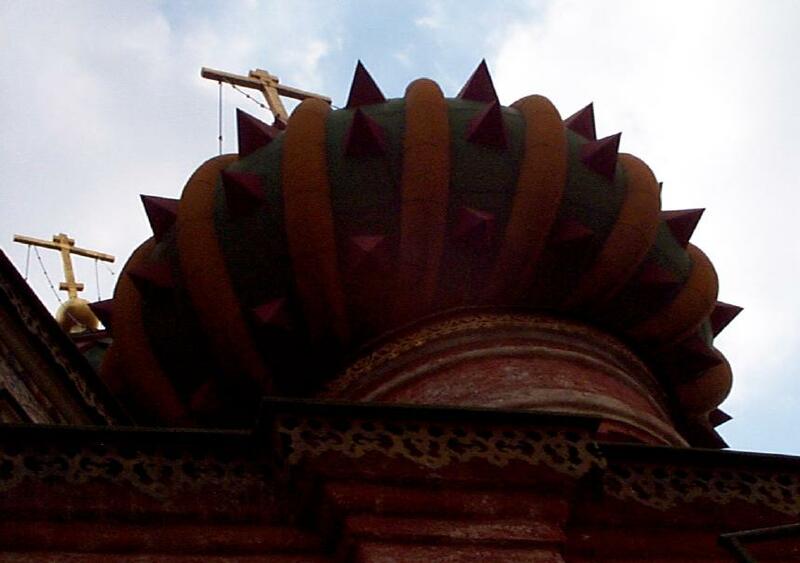 Close-up of a spiked dome. 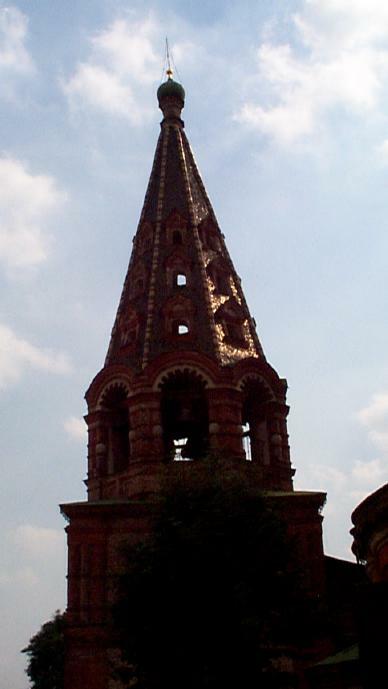 The bell tower, with sky showing through. 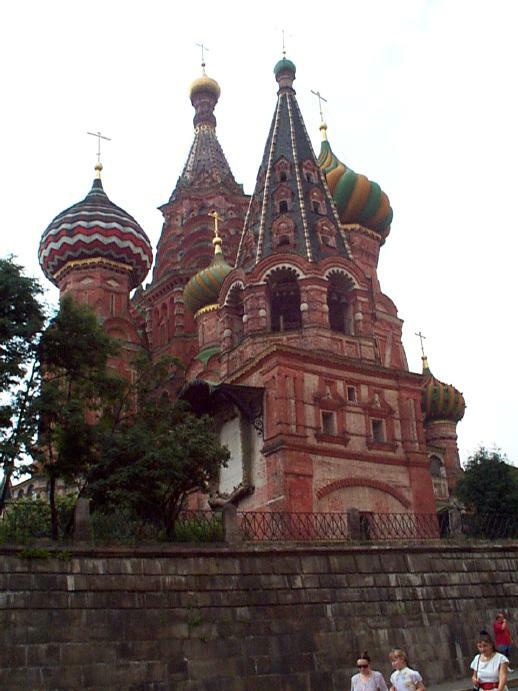 St. Vasily's seen from the rear (the side away from Red Square). 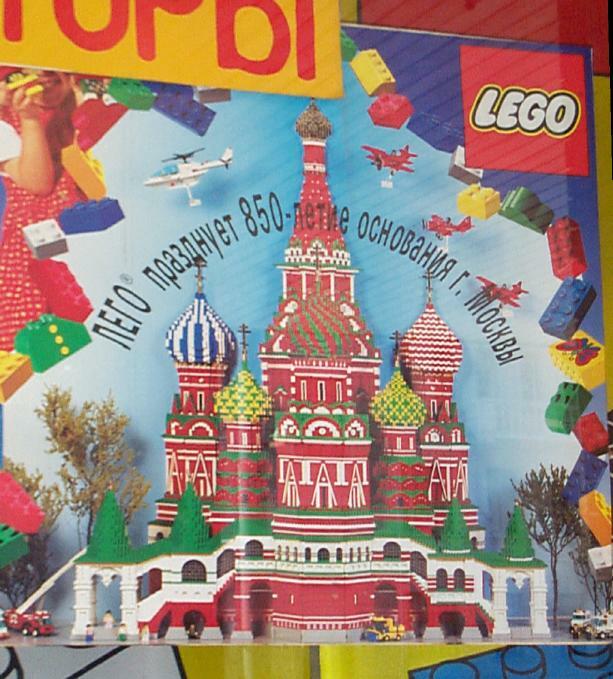 One of the posters celebrating Moscow's 850th Birthday contained this wonderful Lego rendition of the Cathedral of Vasily the Blessed. 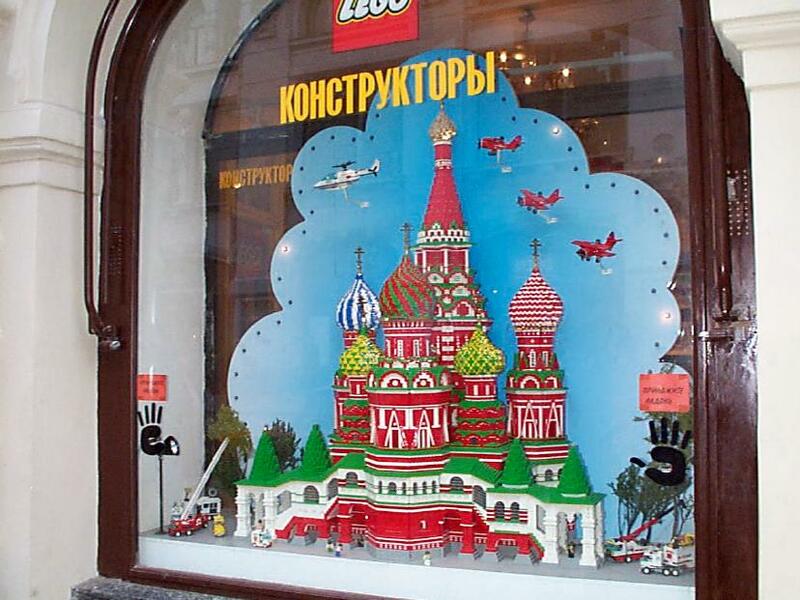 Months after seeing the poster, we found the original in a display window at the Lego store at GUM (a major department store/shopping center along one edge of Red Square). Placing hands on the hand outlines causes the propellers of the planes and helicoptor to twirl. This monument to heros of the 1612 war of liberation was erected in 1818 with money donated by the public. 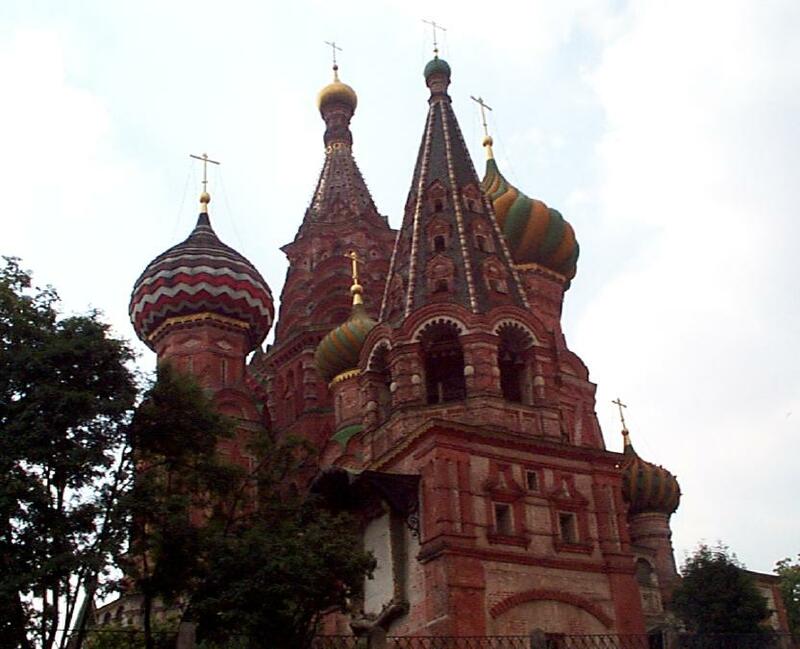 Kuzma Minin (Hey, my cat's named after him!) 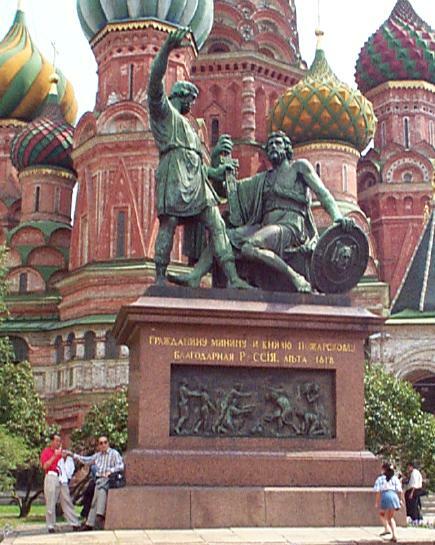 and Prince Dmitri Pozharsky lead the Russian forces against Polish invaders.